Neither my husband nor I are downhill skiers, so we haven't had many opportunities to ride chairlifts. 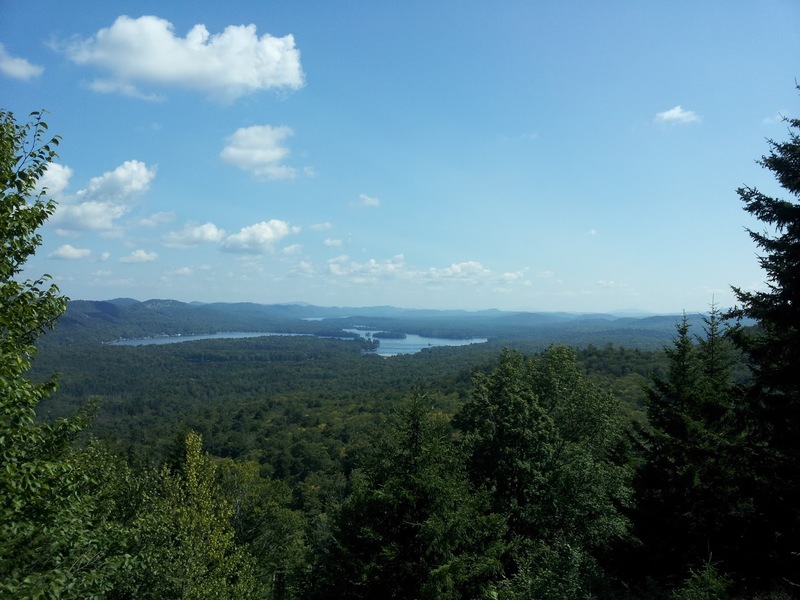 This weekend we went campering at Eighth Lake Campground, just north of Inlet, NY. 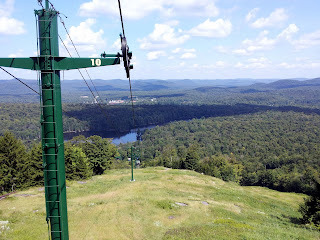 On Saturday we drove down to Old Forge to ride the chairlift at McCauley Mountain. I enjoyed it immensely. 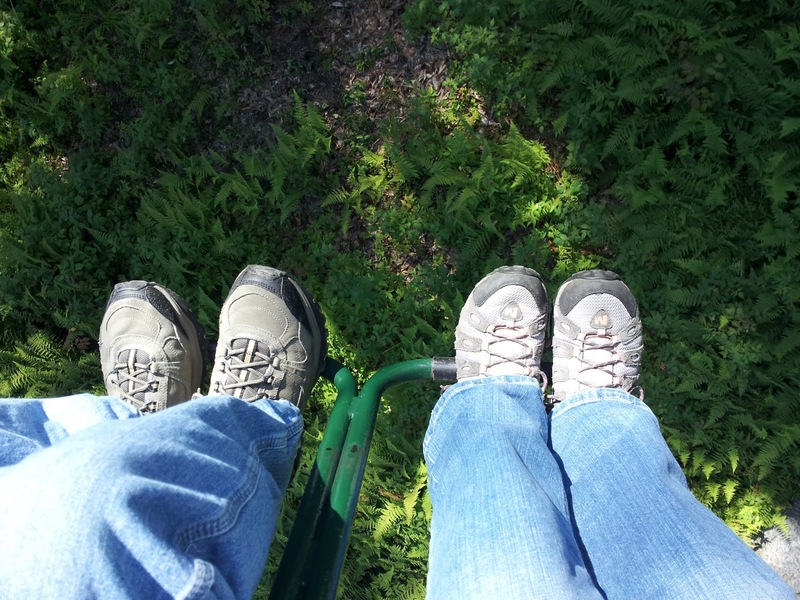 I felt like a little kid, with my feet dangling and a big grin on my face. The weather was perfect and the views were lovely. I haven't been there in years. I still remember the view though. 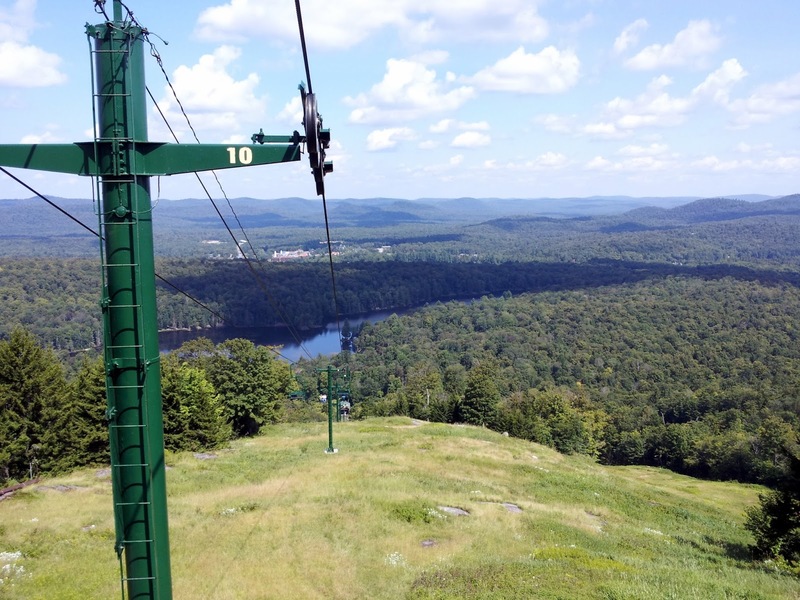 I love riding the chairlift--in the winter to ski or int he summer to see the views! Cool! You guys will definitely enjoy a trip to the top of the Olympic ski jumps, then. First you ride a chair lift, then an elevator. The views on the way up are of more developed ski jump stuff -- interesting in of itself -- but the views of the mountains from the top are truly amazing. It's a little pricier (hello, LP!) but still worth the trip. That's fantastic. I think I would be too nervous, but it looks beautiful!